LION KING competed successfully through Prix St. George Dressage, earning his Stud Book 1 Approval with the RPSI - Zweibrucken at the age of 7. 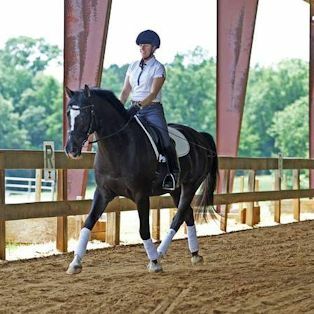 He was many times Mature Horse Champion in the US Dressage Federation Sport Horse Breeding Series and was ranked #5 in the Nation, Mature Stallions by the US Dressage Federation in 2007. 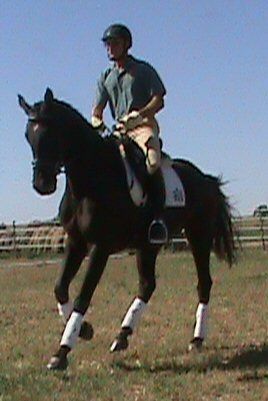 Lion King, from very limited foal crops, is siring winners in the Hunters, Dressage and Eventing world. 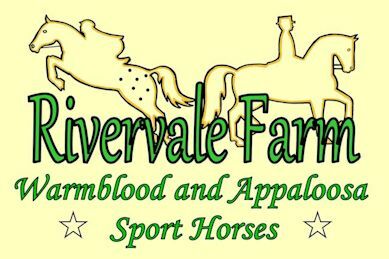 The full brothers RF Latten and RF Lime Light are USDF Year End Award winners, RF Lime Light successful at PSG at 7 years old! 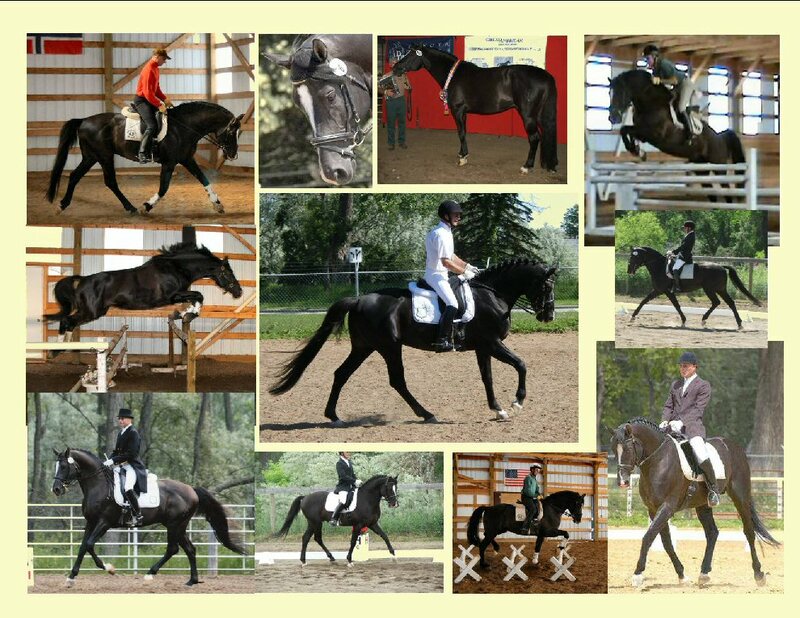 His sons RF Lunar Tanz, Scotch Plaid, Raficki, RF Locomotion and RF Liberty are winning in the Hunter ring. 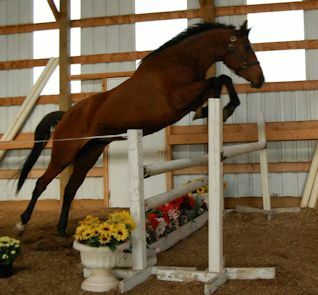 His son RF Let's Dance is successful as an Event horse and now headed for a career as a Hunter. 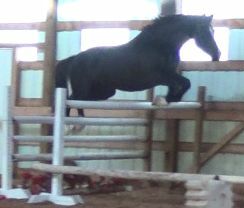 His son "Cheeky" is a young ladies Event horse. 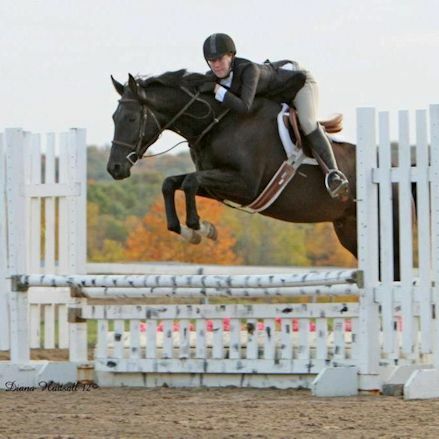 His daughter RF LeDame is winning in the Hunter ring. 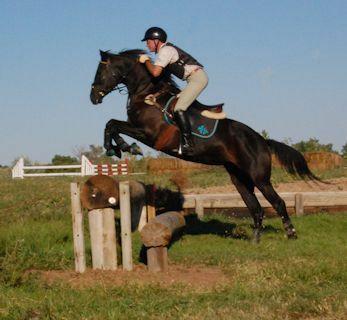 His Daughter RF Lionetta is a Horse Trials winner, a Jumper class winner and a successful childrens hunter. Just to name a few. Pictured below are a few of his offspring. 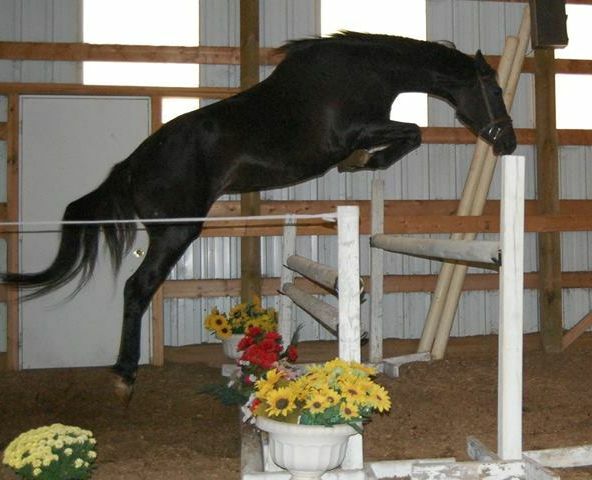 They are all bay or black, sound, cooperative, good jumpers with correct gaits and RIDABLE! Lion King's pedigree is incredible. 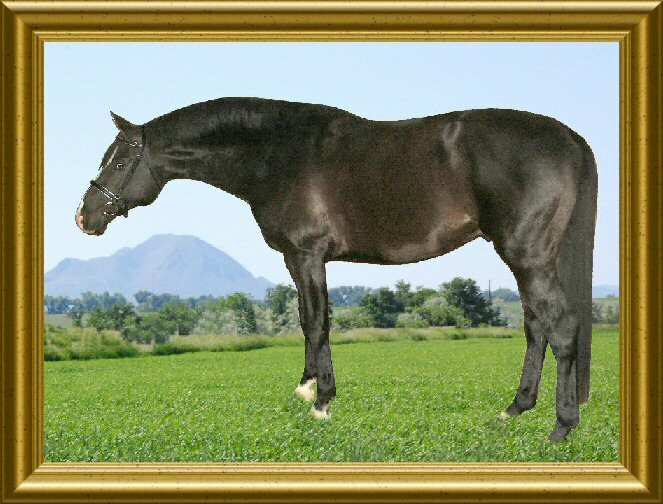 His sire, Latimer passed his Stallion performance test in 1999 at Adelheidsdorf. 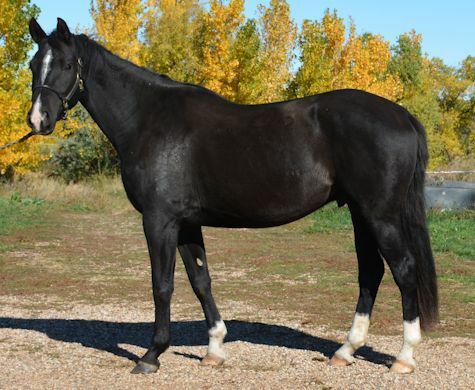 In 2000 Latimer won the Trakehner Championat as well as the prestigious Bundeschampionat in Warendorf scoring the highest total score EVER while type and rideability were rated a 10. 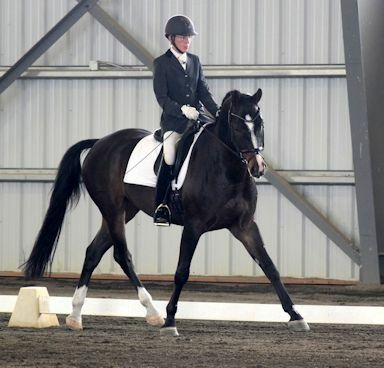 In 2001 he again proved his outstanding dressage potential by qualifying for the Finals in the 5yo dressage horse division. Latimer successfully competed through the FEI and Young Riders Levels with great successes! 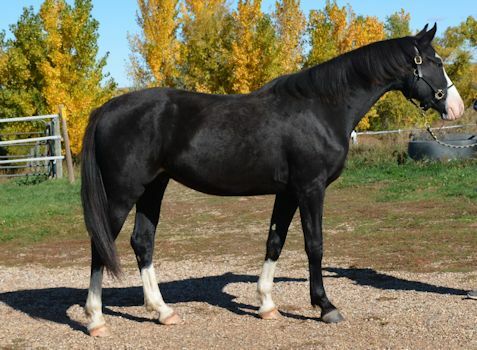 He is the sire of 5 Approved sons in Europe, including Karolinger I, Karolinger II, Hibiskus, Immenhof and Illux as well as high sellers at various Verband auctions. Latimer has a stellar reputation for producing “RIDEABILITY”. Lion King’s dam, St. Pr. 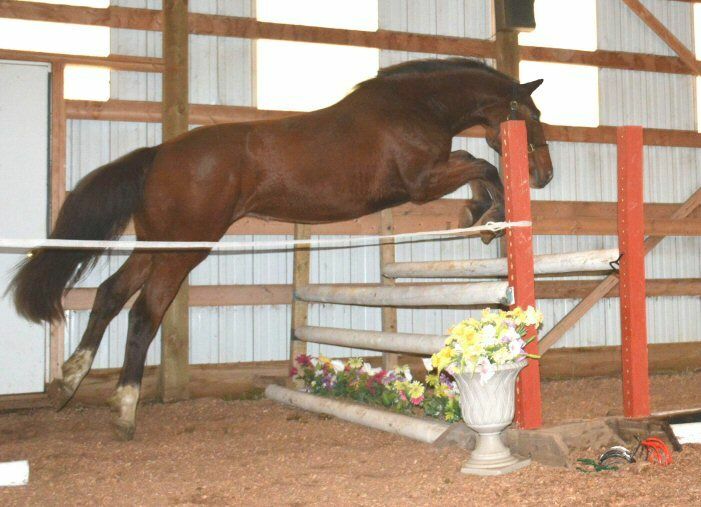 Harmonie is truly a dream mare. 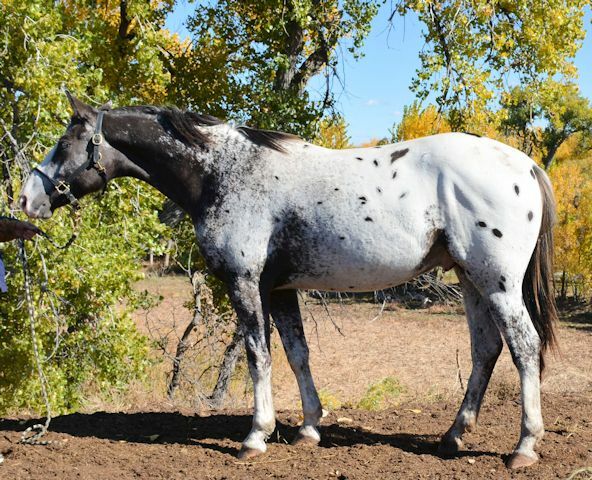 By Elite Stallion, Hohenstein, who was awarded Stallion of the Year in Germany for his accomplishments along with his incredible offspring. 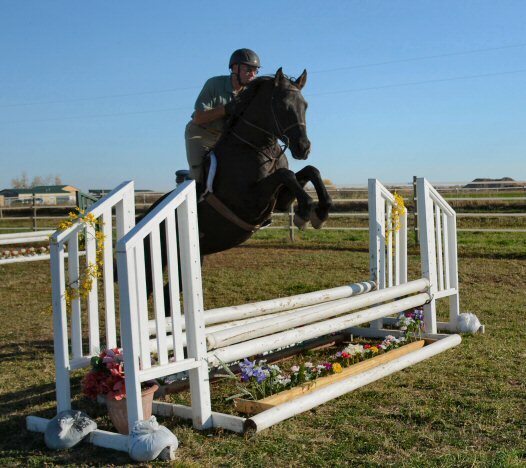 Harmonie received a rarely seen score of 8.39 at her Mare Performance Test. 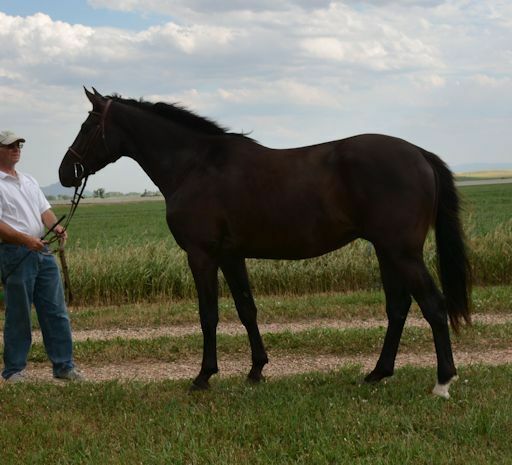 She has been very successful in Mare shows being Best in Class as well as Champion mare of the Show. 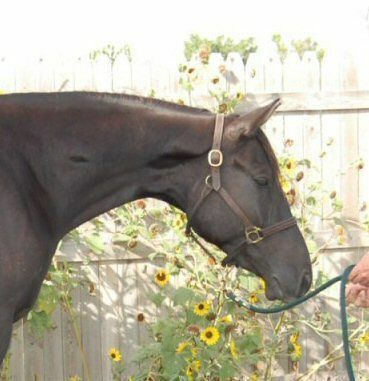 She was also invited to the very prestigious European Mare Show in Brussels (only 3 Hanoverian mares in all of Germany are chosen to compete there) and she was presented at the Lower Saxony Championships in Hanover as well.